Formal verification of business process models can be done through model checking (also known as property checking), where a model checker tool may automatically find violations of properties in a process model. This approach obviously has formal representations as a prerequisite. However, a key challenge for applying this approach in practice is to consistently formalize the process and its properties, which clearly cannot be done automatically. We studied this challenge in a case study of formally verifying an informally given business process against a guideline written like a legal text. Major lessons learned from this case study are that formalizing is key to success and that in its course a semi-formal representation of properties is useful. In the course of such a step-wise and incremental formalization, problems with the given process model have been found already, apart from those found with a model checker tool that used the formal property specification. In total, our approach revealed five problems not found by the official review. 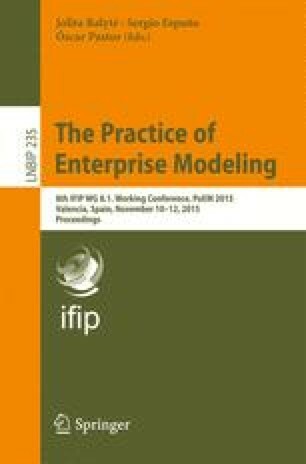 In summary, this paper investigates in a case study consistently formalizing a business process and its properties for verification through model checking. Part of this research has been carried out in the ProREUSE project (No. 834167), funded by the Austrian FFG.